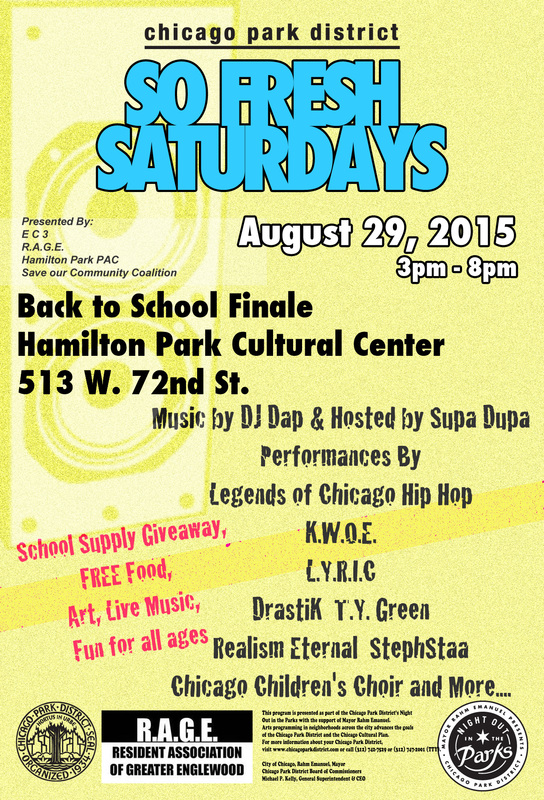 SAVE THE DATE – 8/29 – So Fresh Saturdays – Back to School Finale! | R.A.G.E. SAVE THE DATE – 8/29 – So Fresh Saturdays – Back to School Finale! We are proud to report that we have successfully hosted, not 1, not 2 but 4 stops to neighborhood parks on the So Fresh Saturday Tour, an edu-tainment, family-oriented Englewood park festival. The tours are meant to encourage residents to utilize the parks, and witness the potential of building community spaces. 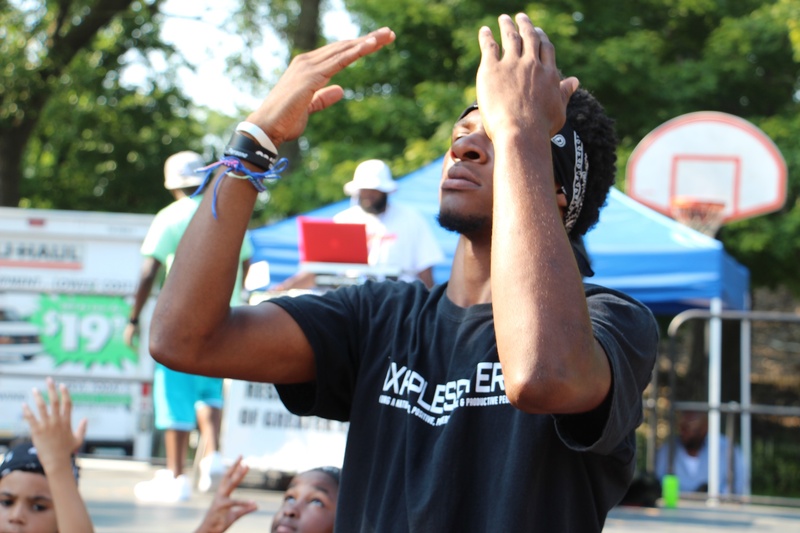 We have it made it our mission to take over Englewood parks in the spirit of peace, and the best is still yet to come. 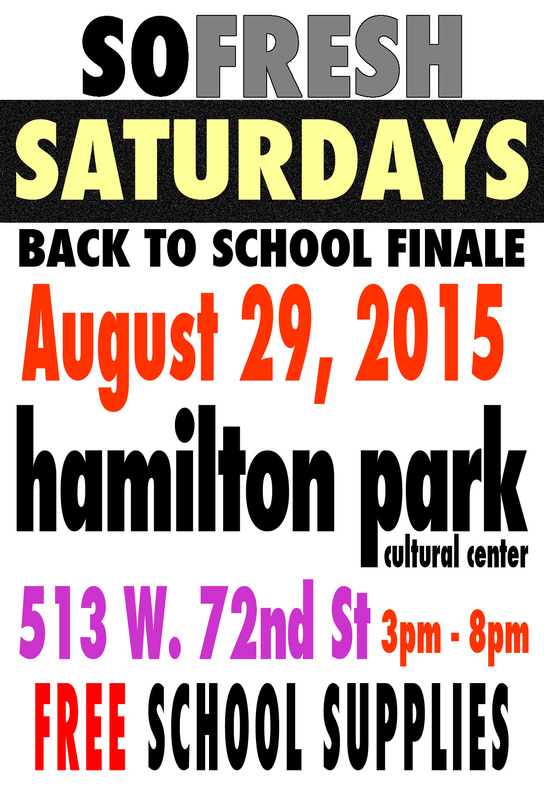 The tour will end at Hamilton Park (513 W. 72nd St.) with a Back to School Finale on August 29th from 3pm-8pm. There will be backpacks and school supply giveaways throughout the event. R.A.G.E. is determined to end the summer with Englewood children prepared for school, their minds set on peace, and equipped with the tools they need for success. The organization is currently seeking an array of supplies and monetary contributions, as well as event preparation volunteers. If you support the So Fresh Saturdays initiative and would like to get involved, could provide event resources, or would just like to learn more, contact R.A.G.E. at joinrage@gmail.com, 866-845-1032 or visit us at ragenglewood.org.